Gold Rush - Chris Malta. There's a 21st century gold rush going on, and it isn't on the Discovery Channel. If you've decided to get in on this by starting your own home-based ECommerce business, the first thing you need to know is that you're going to be walking through a minefield in the dark. With a blindfold on. Hands tied behind your back, forced to hop on one foot. Does that sound like an exaggeration? IT ISN'T. 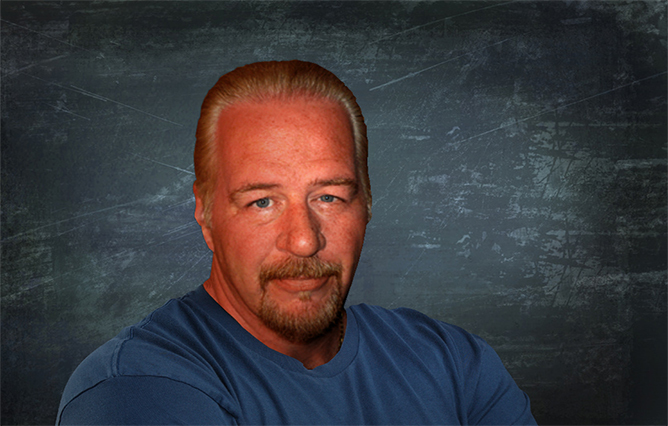 When I first started in this business way back in 1993, things were whole lot simpler. Even though the 'consumer internet' was brand new and we were feeling our way along learning (and inventing) new things every day, at least nobody was trying to sabotage us on purpose. Today it's a whole different ball game. It seems like everybody with access to a keyboard, a bag of Cheetos, a YouTube account and a complete disregard for basic human decency claims to be an "EBiz Guru" of some kind. There are thousands of them. Yes, I said thousands, and I'm not exaggerating. 99% of these people couldn't muster enough brain cells in one place long enough to tie their own shoes, but oh, they're EXPERTS in ECommerce! Yeah. Ok. Apparently all it takes these days to be an 'expert' in ECommerce is a keyboard, a bag of Cheetos, a YouTube account and a complete disregard for...well, we've covered that ground. They claim to be experts, then they sell you absolute garbage 'apps', 'tools', 'systems', 'information', and 'coaching' for tens of thousands of dollars. It's not just the Grinning Ninnies who've blanketed YouTube with crapstorms of stupid, either. Many of these putzes are doing hotel seminars and national conventions. Speaking to crowds of hundreds of people who hang on every slippery word and scribble reams of notes as if they're going to magically pick up on that one hidden amazing secret that'll allow them to get out of there without spending any money [cue the hilarious laughter] and go home, start a business with no money, no learning and no experience, and get rich by next Tuesday. By 3:30 PM, so they have time to get ready for dinner. After all, we wouldn't want starting an online business to be inconvenient in any way. I hate to say this, but it's not just them. It's you as well! They're heartless, disgusting con artists, yes. But a con artist needs a willing "Mark". (The "Mark" is the target of the con, in case you're not up on con artist lingo). If the Mark isn't willing, the con doesn't work. So if YOU are the Mark, (which you absolutely are, the moment you sign up for that first 'free lesson' or 'free trial') YOU have to be willing to believe that it's possible to get rich by Tuesday (no later than 3:30 PM) with no money, no learning and no experience. And if you DO allow yourself to believe that even for just one minute, you might as well fry an egg, grab a slice of cheese and pop yourself in the toaster, because YOU are the Breakfast Bagel that these jack-wagons are going to chow down on every morning before they even get dressed. No matter how many of these swamp lizards paddle up to your door, the only way they can hurt you is if you believe that starting a real, live business that makes actual full-time money is EASY...or...can be bought from somebody else on easy credit terms. Starting, building and running a real money-making business online is NOT easy, and you CAN'T buy 'tools, systems and apps' that will do it FOR you. Not EVER. Let's face it, in life we want things to be easy. Easy is better than hard. However, life being life, that ain't gonna happen. But the knuckle-draggers who have been trained to think that cheating people is actually a smart business method KNOW that we want easy. So they serve it up to us like a three-scoop bowl of ice cream and give us a giant spoon. The only problem is that they charge thousands of dollars a scoop, and when the bowl is empty all you end up with is an empty bowl. Which you could have gotten for a dollar at the Dollar Store, if all you actually wanted really was a bowl. If you've read any history or maybe watched the History Channel once in a while you might remember learning about the great California Gold Rush of 1849 (which actually started in 1848, but hey, facts get fuzzy when people get greedy). During the years of that gold rush, the people who actually made much more money much more consistently were the people who were smart enough to go into the retail business, not the "Gimme a shovel, I'm gonna get rich by Tuesday" business. Hoteliers, store owners, butchers, restaurateurs, etc. were the real gold rush winners in 1849(8). There were actually very few miners who made "fortunes", and the vast majority of them were the few who actually knew how to mine gold. But those facts (which were known at the time) didn't stop the shipping and transportation companies 'back east' (and even in other countries) from screaming at the top of their lungs that you could pick gold up in the streets in California, and all you needed was a really expensive ticket on their ships and wagon trains. Huh...guess they made a lot of money too, right? This is no different. The thousands of needle-heads who know that you don't know how to mine gold charge you tens of thousands of dollars for a ticket on the Secret Train To The Gold Fields. They'll put you in a first-class seat so you can relax comfortably while you eat your ice cream. They'll give you all kinds of fancy-looking gimmicks to play with that flash and spin and have buttons that bleep when you click them. They'll tell you about all the magical ways you can summon your own personal Unicorns (which don't actually exist; sorry!) that will fly around scooping up people to buy from you. They'll promise you a Secret Code to the hidden Trans-Pacific Matter Transporters (that don't actually exist) that will make huge loads of incredible products from China appear in your garage for mere pennies on the dollar (which isn't actually true). They'll show you amazing-looking web sites that they claim make quadrillions of dollars per second (but actually don't). They'll show you heart-felt testimonials (that they wrote themselves, but don't ask that question!) from others (themselves) who are all giddy and tingly about their Amazing Systems (that don't actually work). They'll show you "Actual Bank Statements" (that they actually spent entire minutes of their lives creating by pecking away at Photoshop with their stubby little fingers) that PROVE that their "Amazing Systems" have made millions of dollars for themselves and other giddy and tingly people (only they actually didn't). THE ONLY THING THEY DON'T DO is actually teach you how to mine gold. The thing they never tell you (but should be easy enough to figure out) is that the Secret Train To The Gold Fields is powered by your money. That train doesn't run on a wood-burning boiler or diesel fuel. It runs on your CASH. Picture somebody at the front of the train tossing shovel-fulls of your hundred dollar bills into the flaming maw of an old-fashioned steam boiler fire-box, laughing maniacally. Not a pretty picture, is it. The minute your money is gone and there's nothing more to shovel into the fire-box, that train's emergency brakes automatically kick in. The Conductor stomps over to your seat, unceremoniously tosses you out the window into the desert, and the train screeches off down the line shoveling other people's money into the fire. So now you're sitting in the desert, broke, nowhere near the actual gold fields, and you have no idea what to do next. And you still don't know how to mine gold. 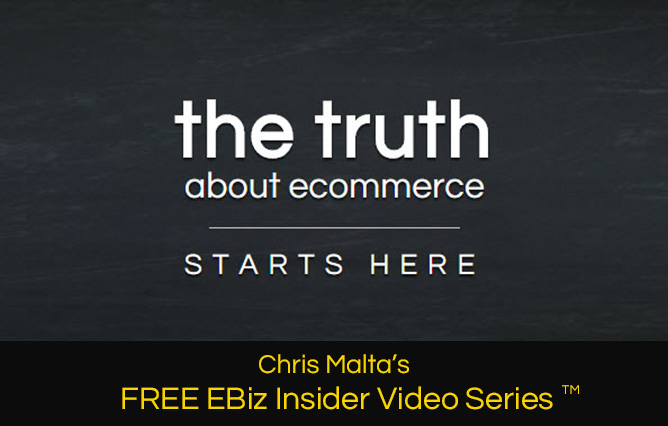 So get off the train and come check out my FREE EBiz Insider Video Series. I've been a REAL successful gold miner for over 25 years online. I'll show you where the gold REALLY is.